A vision “check-up” is more than just a glasses prescription. It can be critical in spotting and treating issues before they affect your vision. Our comprehensive eye exam is designed to provide a complete evaluation of your vision health including diagnosing vision related diseases. Exams usually take about 30 minutes and most of that time is spent face-to-face with the doctor so that you know you are receiving the best care. The EIDON retinal camera is a specialized digital imaging system used to create a high definition photograph of the back of your eye. (retina and optic nerve head). This technology provides important information to rule out diseases such as glaucoma, macular degeneration, and changes due to diabetes & high blood pressure. Many parents wonder how an eye doctor can determine the prescription for young kids. The 2Win Autorefractor system is an automated device, about the size of a handheld digital camera to determine the glasses prescription for children as young as 6 months old, without having to choose "one or two". 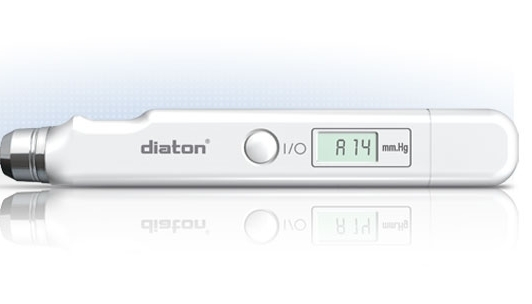 The Diaton tonometer utilizes the latest technology to measure the pressure in your eyes without that annoying “puff of air” test. It's a pen-like device doesn't even touch your eye since the measurement is taken through your eyelid. A much more comfortable way to check for glaucoma!